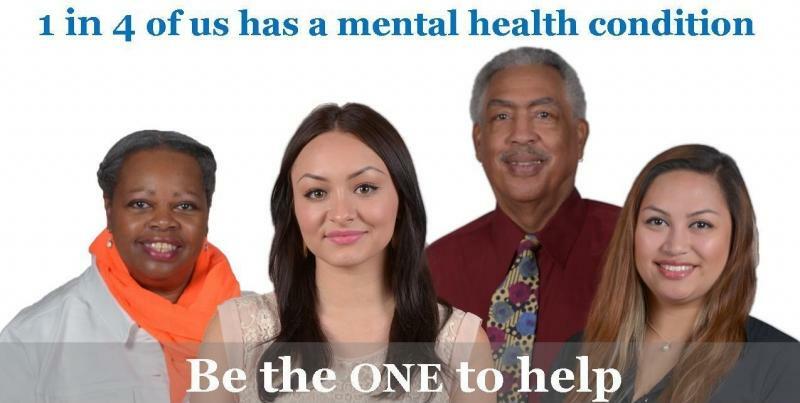 Many individuals in our community are struggling with a mental illness. So why is no one talking about it? One in four people has a mental health condition yet less than half are getting the help they need. Many people and their families are not seeking treatment because they are afraid others will judge them. The longer someone waits to get help, the longer their recovery process becomes. Visit www.smchealth.org/stigma to learn more about how you can be the one to help. Be the one to stop this cycle and help those who may be suffering from a mental health condition or substance use issue. Treat people who have mental illness with compassion and respect. Listen to their challenges and offer support. Challenge negative stereotypes about mental illness or substance use. Stand up for others who may be treated unfairly because of their condition. Set an example by not using language that labels others (avoid words like “crazy” and “schizo”). Understand how my actions and those of others can influence someone deciding to seek help. Share stories of hope with others to show that people can and do recover with the right care. See San Mateo County’s voices against stigma here. Get involved in San Mateo County’s Be the One campaign and other efforts to reduce sigma and discrimination. Learn more by taking a free mental health training. Continue this conversation by encouraging others to join you. Together, we can end stigma against mental illness and support everyone in our community. By submitting this form, I am taking one step forward towards ending stigma around mental illness. I am helping to ensure everyone in my community is treated fairly and can receive the right care, at the right time, in the right place.